Travelers will be lured to the region by David Stanley's inviting presentation of legends about demigods and directions to the undersea caves and canyons in Tonga. Stanley also provides a brief history of tattooing rituals and suggestions on where to find budget breakfast bowls of cocoa and rice in Western Samoa. 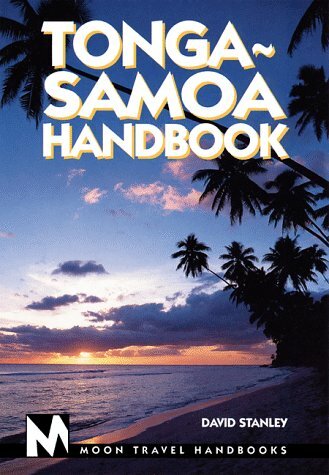 The informed, compact guide to Western, or "old," Polynesia profiles beautiful Samoa, fascinating Pago Pago, traditional Tonga (where a king still rules), and friendly Niue. Neatly packaging all the information explorers of the colorful region could require, Tonga-Samoa Handbook will prove a top-notch traveling companion.